It's no surprise that the previous week's post often spawns the next one. 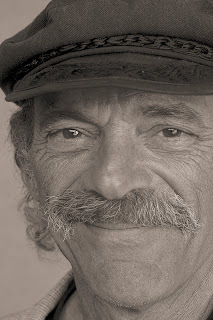 In this case, Cris Pulos's portrait received several positive emails to which I had to disclose that the subject was less than ecstatic about the image. In fact, I had posted the aforementioned picture months ago but deleted the offending effort precisely because he didn't like it. In short, it did not comport with the subject's vision of himself. The tension between what the camera captures and what the human imagines is not new. Indeed, disertations have been written on less. Juma's mug, above, falls in this dubious category. It drew a heavy yawn at best. Still it works for me and I am, after all, the final arbiter of good taste and the general wonderfullness of what I publish. Long ago and far away my friend and fellow photographer Cris Pulos and I traded portrait sessions. I set this one aside. With his trademark Greek fisherman's cap Cris is full of craggy charm and has a decided twinkle in his eyes. A playful quality. It could be a vintage photograph taken on Santorini in 1949 or under my portal last year. 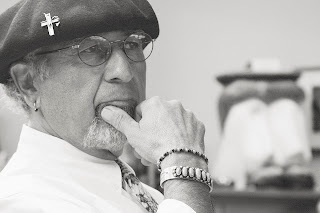 Seems to me that black and white portraits can be timeless. Some of Edward S. Curtis's images taken near the turn of the last century are still remarkably contemporary. 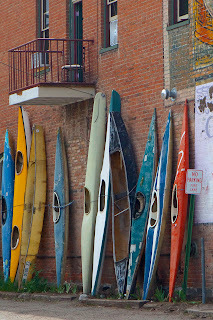 Salida, Colorado lies along the Arkansas River hence the illegally parked kayaks in this downtown alley. Well, not really. 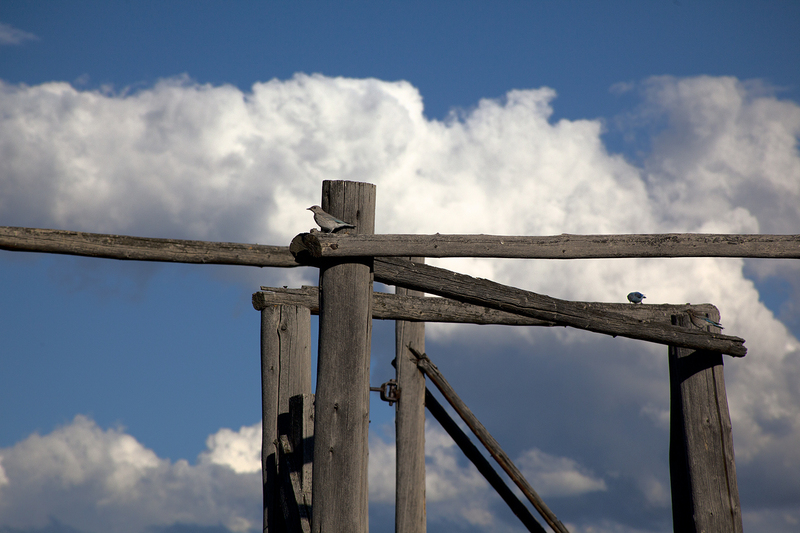 Like Taos, Salida has about 5,500 residents, an active outdoor lifestyle and a thriving art community that seems to be gaining momentum. It lives in a so-called "Banana Belt" with moderate temperatures year round. It's a sweet little spot with an uber cool vibe. One of my faves. 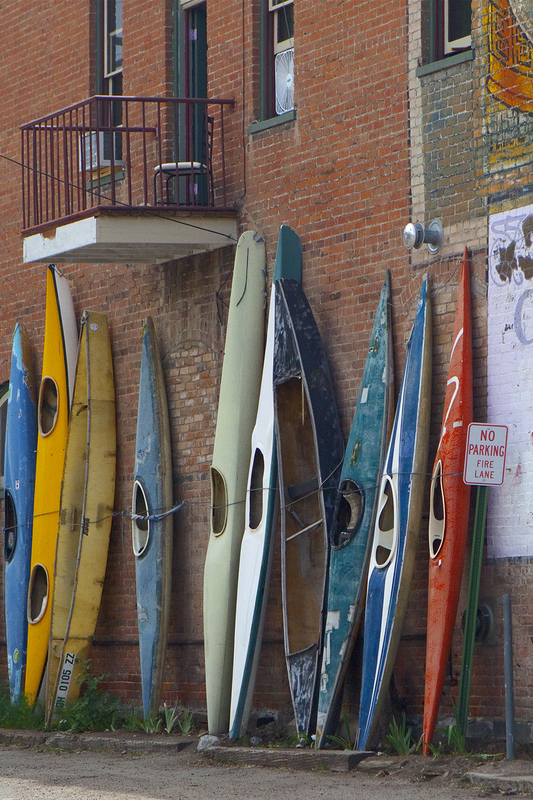 Kayaks to me are among the most appealing forms around. They're in the heady company of acoustical guitars, road bicycles, champagne flutes and vintage wooden sailing vessels to name a few. This public service announcement is brought to you a day early for the first time ever. Gonna hit the macadam for some dark o'clock photo ops tommorow morning. The Tetons sure are grand but in overwhelming way. Then there’s the knotty problem of getting a shot that’s not a hackneyed piece of eye candy. 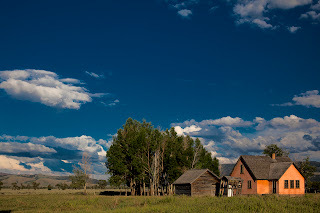 Add my penchant for pasture and prairie and you get photographs that don’t include the jagged teeth of Mount Moran, Teewinot and Middle Grand at all. They're behind me for what it's worth. 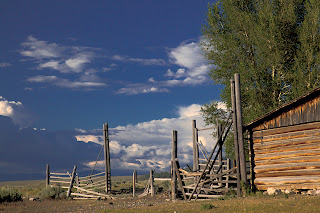 Anyway a couple miles north of Moose Junction and a hard right onto Antelope Flats Road takes you to the remains of an 1890’s settlement once called Grovont and now dubbed Mormon Row for Mormon families from Idaho who settled the lush alluvial plain beneath the Tetons. 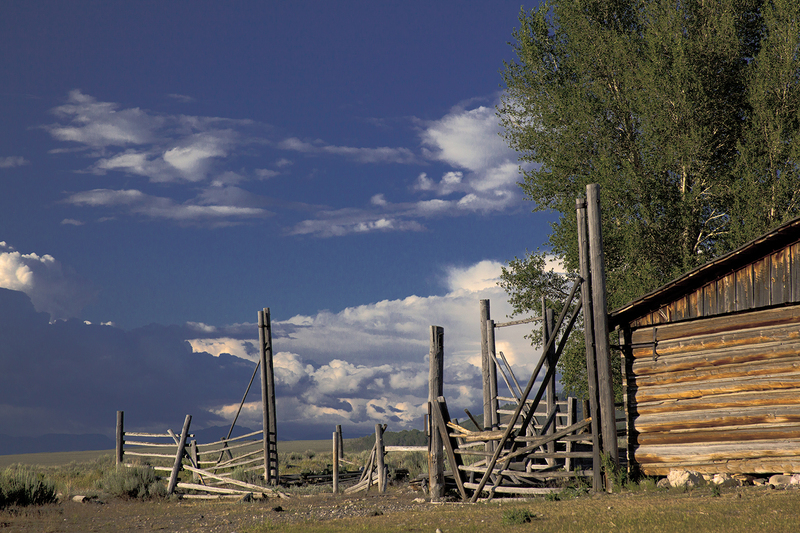 A mile long stretch of cabins, barns and corrals stretches north to south along a well tended dirt road. 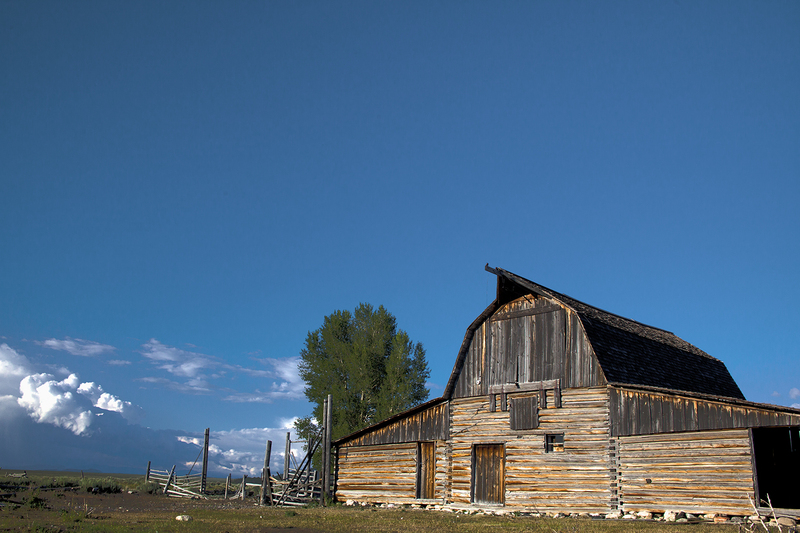 Once there were six family homesteads on Mormon Row replete with a community ditch system, a granary, a post office, a church and a swimming hole. Apparently the community existed till the 1950s and I have found no explanation for its demise. I do know that the National Parks Service intended to raise the complex until a group of right minded citizens saw a nugget of history worth preserving.